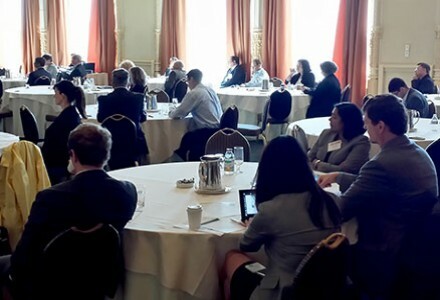 The IP Monetization: Silicon Valley Summit 2015 brings together IP thought leaders from a wide range of industries to benchmark and develop successful monetization strategies for valuating, accounting for and commercializing IP assets in order to deliver consistent and long-term revenues. APPLICATION PENDING FOR 6.5 HOURS OF CALIFORNIA MCLE CREDITS! Enforcement & Monetization – Paper Tigers Beware! Selling Your Patents – When Does it Makes Sense? Adam V. Floyd is a Partner in the Firm's Intellectual Property Litigation Group. Mr. Floyd has 20 years of experience as a patent litigator, having represented numerous high-tech clients across the country in all manner of patent litigation. Most recently, Mr. Floyd served as a judge on the U.S. Patent and Trademark Office Patent Trial and Appeal Board ("PTAB") in Denver, where he was deeply involved in post-grant procedures under the 2011 Leahy-Smith America Invents Act – a new set of actions permitting clients to challenge patents at the PTAB, an increasingly popular alternative to federal court litigation. Before becoming a PTAB judge, Mr. Floyd was in private patent litigation practice as a founding partner of F&B LLP (Austin, Texas). He is a member of the Colorado and Texas bars and has been recognized for his work in intellectual property litigation by Chambers USA, Super Lawyers and Best Lawyers in Texas. Jeff Leedom is a Partner at PricewaterhouseCoopers that is the United States Leader our Licensing Management and Contract Compliance Practice. Mr. Leedom has been with PwC's Forensic Services practice for over 20 years and is experienced in a range of business consulting engagements across a multitude of industry sectors. Mr. Leedom’s primary area of expertise is in licensing management and contract compliance and has an extensive level of experience in general forensic accounting. Mr. Leedom has worked with many different companies all over the world in various sectors such as technology, software, oil and gas, utilities, entertainment and media, telecommunications, consumer electronics, biotech, pharmaceuticals, medical devices, etc. to provide consulting in the area of licensing management, contract compliance, with a focus on overall risk mitigation, cost reduction and revenue recovery. Mr. Leedom has testified in Intellectual Property and Licensing disputes in both State and Federal courts. He has spoken to international audiences in the area of licensing management and contract compliance in locations all over the world. Mr. Leedom is published in area of contract compliance, revenue recovery, licensing, and IP protection and enforcement. He holds a MBA from Ellis College, and a B.A. in Economics from the University of California, Santa Barbara. He is a Certified Licensing Professional and a Certified Software Asset Manager. Teddy Joe is Zynga Inc.’s Senior Patent Counsel. Besides devoting a good portion of his day to playing video games (for “research”), Teddy leads Zynga’s patent program. In that role, he is responsible for designing and executing the global patent strategy for Zynga. Prior to joining Zynga, Teddy was Patent Counsel and Senior Corporate Counsel for salesforce.com, inc. In addition to helping start and grow salesforce.com’s patent portfolio, Teddy also served as the legal M&A integration lead for salesforce.com’s largest acquisitions. Zynga Legal is proud to have been named one of the most innovative in-house teams in the United States by the Financial Times and a 2012 Best Legal Department finalist by Corporate Counsel. James Kovacs is the Director of Licensing and lead’s Intel’s Patent Licensing Group, which focuses on counseling and advising in connection with worldwide patent transactions, such as licenses, cross-licenses, acquisitions and sales, as well as related corporate patent strategy. Prior to joining Intel, James was in private practice at leading Chicago law firms, focusing his work on technology transactions and outsourcing. He holds a bachelor’s degree in economics and psychology from the University of Michigan and a law degree from Harvard Law School.